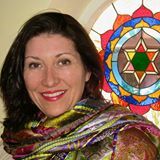 Aura-Soma ® L1 Certified Teacher, & Practitioner. The Academy, ASIACT, Dev Aura - England. programs at the Transformational Arts College in Toronto. The Institute for the Psychology of Eating. ARTIST- Certified Facilitator, Art of Allowing Academy. Colour energy Reiki, Vibrational arts. Lorraine Bordiuk is an intuitive artist who explores the relationship between energy and the language of colour. She remains curious moment to moment to what appears on the canvas and what the next step is. This gives her art a whimsical quality. The paintings are infused with Aura-Soma® crystal and flower essences. creativity and the language of colour. Intuitive painting sessions. Creative Expression, one to one or group facilitation. Nature Trails and coloured glass house to enjoy in the beautiful Loretto countryside. Nurture your soul. Workshops. May 10 am-5 pm Inquire for multiple date options. 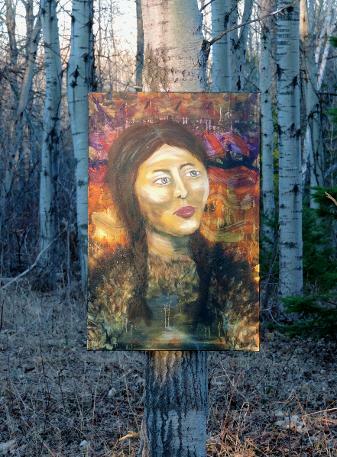 Goddess Painting Workshop Loretto, ON. Lorraine is passionate about finding creative ways for you to explore your beauty and wisdom. 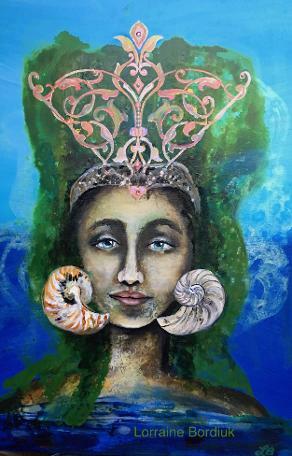 Personal painting facilitation in the “Allowing process” is offered to clients, one on one, or in groups at her country studio Hue-man Nature. Lorraine’s dedication, wisdom, and kind nature makes it easy to relax and let the magic flow.